It's time for a new Ink Paws Challenge and this week we have a really Fun Sketch! I used the Super Cute Pineapple Delights Stamp set and coordinating dies and some Fun papers from Doodlebug Designs. I started with a White card base and then I added some pattern papers following the sketch. For the main panel, I added some Tumbled Glass Distress ink to the center very lightly then I stamped the sentiment in Black ink. I used the Rock N' Roll technique to add color to the pineapple image. Then I used the coordinating dies to cut them out. 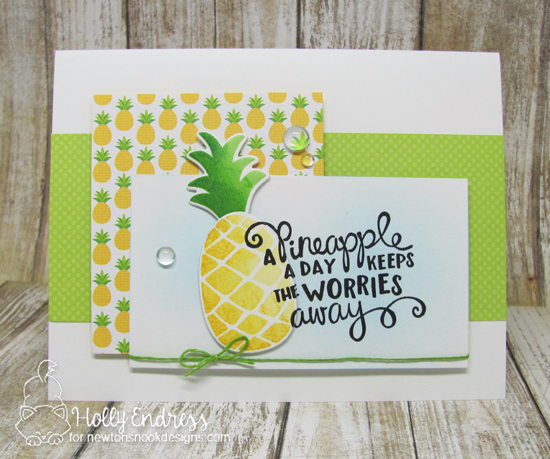 I lined the pineapple up with the sentiment in my Misti Stamping Tool and I restamped the sentiment onto the pineapple. When I adhered the pineapple over the main panel I lined it up with the sentiment so nothing was covered up with the pineapple. Then I added some clear Drops from Studio Katia and some Green twine. Are you ready to get your paws inky with us and play along to win a prize? 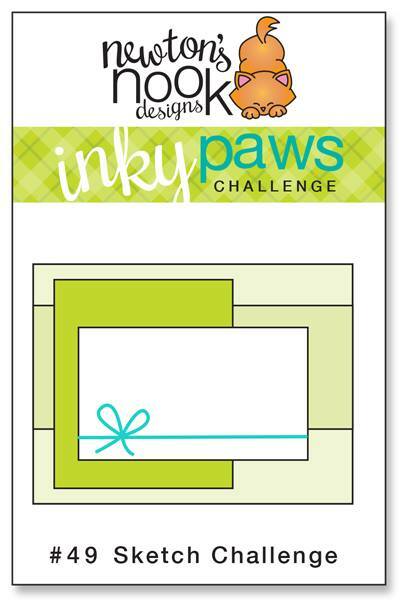 The Challenge winner will receive a $10 store credit to our online store and a Inky Paws Challenge Top Pick Badge to add to your blog! If we get more than 15 participants, we will choose two winners so be sure to tell your friends to play along! You have Two Weeks to play along - the Deadline to enter is Friday, June 30, 2017 at Midnight CST. The winners will be announced on the NND blog the following Monday. Head over to the Inky Paws Blog for more info and to Link Up!! This is so cute! 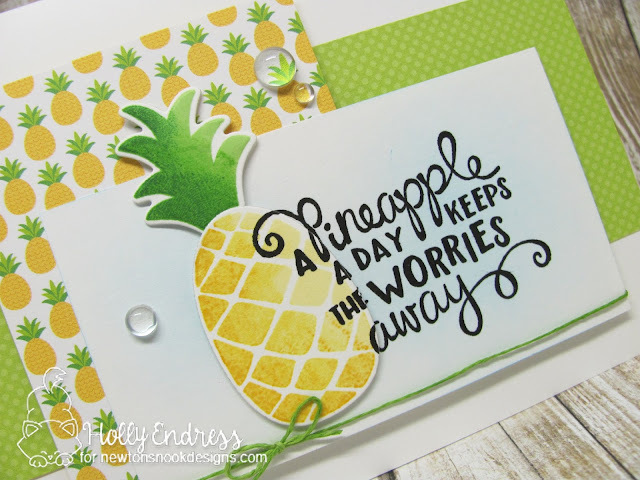 I love the bright colors and the way you layered the sentiment right over the pineapple! Thank you for the Inky Paws challenge inspiration!